In the history of Pakistan filmdom if there is any actor who is as popular as he used to be in his life, undoubtedly he is Waheed Murad the true legend. During his film career he remained as producer, actor and script writer, his charming expressions, attractive personality, tender voice and infrequent talent for acting makes him much different from his other contemporaries. Not within the Pakistan, Waheed Murad is considered as one of the most famous and influential artist of South Asia. Let’s remember the Chocolaty Hero in our own way and pay his soul our humble gratitude. Mr. Nisar Murad after marrying Shiren Murad was blessed with a son on 2 October 1938 who was named as Waheed Murad. 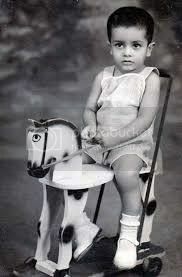 Waheed Murad was born with silver spoon as his father Mr. Murad who was son of Zahoor Ilahi Murad, a lawyer in Sialkot and an acquaintance of Sir Muhammad Iqbal was affiliated with film distribution. Being the only son, right from the outset Waheed Murad was not only blue eyed of his parents but the complete family. But in spite of this fact, for better grooming and education, Nisar Murad admitted his son in Lawrence College, Ghora Gali, Murree where he studied till Grade 2. Afterward Waheed Murad moved to his family who was shifted at Karachi for many previous years. After reaching Karachi, Waheed was admitted at Marie Colaco School, Karachi from where he completed his matriculation. Subsequently took admission at S.M. Arts College, Karachi for graduation. allowed by his parents so he went to California, United States and got admission in Film Section of a renowned institution and on completion he was awarded masters degree in film production. On the other hand Waheed Murad was admitted for Masters in English Literature at the University of Karachi. It is interesting to mention here that once Waheed got the masters degree, this degree made him the first actor in lead role who had a master’s degree in Pakistani film industry. Likewise Pervez Malik, who returned back to Pakistan four years later and at that time became the only film director to hold a master’s degree in film production from the University of California. 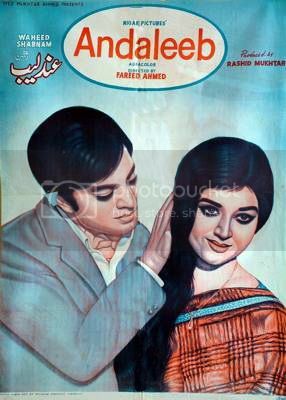 After receiving his master’s degree, Waheed Murad started his film career by joining his father’s established film production house named Film Art in 1961 as producer of the film Insaan badalta hai. 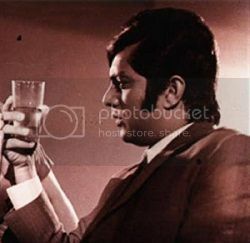 In next film, Waheed Murad casted Darpan with Zeba in lead role in his next film as producer, Jab Se Dekha Hai Tumhen. During shooting of the film a misunderstanding created in between Darpan and Waheed Murad primarily due to casual behavior of Darpan who used to come late in the set. Darpan was also a good friend of Waheed so one day he suggested him to join films in its acting field. On the other hand Zeba also suggested Waheed to cast himself as hero in his next film. Waheed was not ready to sign himself in his own movies. But when the same suggestion came from his old good friend Pervez Malik, he accepted the suggestion on the condition that if Zeba would be his co-star, Zeba accepted in return (according to Zeba). 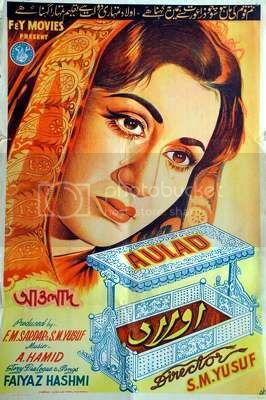 As a result, he firstly appeared in a supporting role in 1962‘s Aulad. The film was directed by his another friend S.M. Yousuf. Aulad got much more acclaims from critics and it also got the Nigar award in the best film’s category for the year. This gave lot of encouragement to Waheed so Heera aur Pathar was his first movie as a leading actor as luck would had it he got the Nigar award in the best actor category for the same film. Arman went so high that it received two Nigar awards under the categories of best producer and best actor. In same year he also appeared in lead role with Zeba in film Jaag Utha Insan . 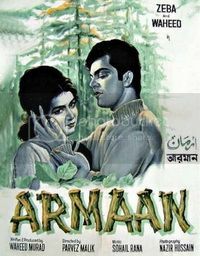 Boomed with the release of Arman, in 1967, Waheed was casted in four films and that proved to be another master piece of our cinematic history. These films were Devar Bhabi, Doraha, Insaniyat and Maan Baap. During making of Arman all key person of the team farm into a team comprising of Waheed Murad (lead actor), Pervez Malik (Director), Masroor Anwar (Writer and lyricist), Sohail Rana (Musician), Ahmed Rushdi (Lead singer for Waheed) and Zeba (Lead co-artist) under the flag of Film Arts. This team produced a couple of hit films which includes Heera aur Pathar, Arman, Ehsan, Doraha and Jahan Tum Wahan Hum. Subsequently this team was departed for their solo projects. Although after some years they again gathered in 1974 for production of two films i.e. Usey Dekha Usey Chaha and Dushman this time not under the banner of Film Arts Production house of Waheed Murad. After parting of above mentioned team, Waheed started appearing as solo in lead role of films produced and directed by different directors and production houses in 1969. 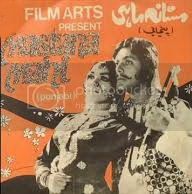 In these films he performed very well and maintained his height by receiving the Best Actor Nigar Award of the year 1969 for film Andaleeb which was released on August 29, 1969, directed by Farid Ahmed and Shabnam was paired with him. The songs like “Kuchh log roth kar be lagtey hain kitney piyarey” was the everlasting song of this super hit film. In same year, Waheed Murad also came into the field of direction and directed his first film Ishara, he was not only the director but also writer and producer of the film. In 1970, he appeared in Naseeb Apna Apna and Anjuman, out of these two Anjuman hit the box office specially due to its everlasting songs like Dil dharke, main tum ye kaise kahon and Aap dil ki Anjuman mein hussan ban kar aa geye by Runa Laila. Waheed Murad received Nigar award for the category of Best Actor for Mastana Mahi. In his twenty five years of film career, Waheed Murad was paired with Zeba, Shamim Ara, Rani, Naghma, Aaliya, Sangeeta, Kaveeta, Aasia, Shabnam, Deeba, Babra Sharif, Rukhsana, Bahar and Neelo. Best shoot quality during songs specifically romantic songs was the glaring aspect on the performing credential of Waheed Murad. 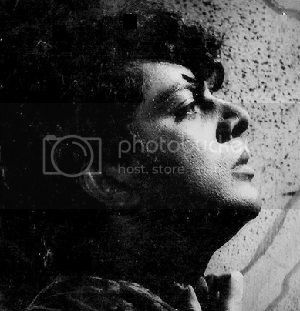 But unfortunately this quality became one of biggest hurdle in his future film acting career from 1972 onward as many leading actresses were hesitant to be taken as co-star with Waheed due to their family pressure. With Zeba he had very successful record but she restricted herself as co-star in film only with Muhammad Ali after her marriage. With Shabnam, there developed a sort of misunderstanding so her husband Robin Ghosh forced her to not work with Waheed anymore. Even Nisho was not permitted to work with him by her husband. After seeing this trend reaming lead actresses were also became reluctant to casted against Waheed. Indeed this tendency proved a grave setback for Waheed’s career. Resultantly, mostly top producers offered Waheed with secondary roles in their films with secondary actresses. More so, other emerging actor like Shahid and Nadeem were giving him a stiff competition. While observing the prevailing trend Waheed was forced to work with less popular directors and producers and had been given the role of ordinary characterization. 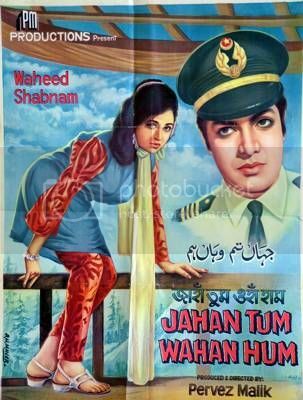 Within the prevailing circumstances, Waheed pulled along and appeared in Baharo Phool Barsao, Naag Muni (1972), Ishq Mera Naa, Mastani Mehbooba, Laila Majnu and Shama (1974), Izzat, Dilruba, Jab Jab Phool Khiley (1975), Raaste Ka Pathar, Mehboob Mera Mastana, Naag Aur Nagan and Shabana (1976), Saheli, Parakh and Khuda Aur Mohabbat (1978), Awaz and Behan Bhai (1979). Leaving aside a few mostly films were declared successful but not because of Waheed Murad. By the late 1970s and early 1980s, Waheed was being casted in supporting roles either with Muhammad Ali or with Nadeem in the films like Parastish (1977), Aadmi (1978), Khuda Aur Mohabbat (1978), Awaz (1978), Behan Bhai (1979), Wadey Ki Zanjeer (1979), Raja Ki Aaye Gi Barat (1979), Zameer (1980), Badnaam (1980), Gun man (1981), Kiran Aur Kali (1981), Gherao (1981), Aahat (1982) and Mang Meri Bhar Do (1983). The films Hero (1985) and Zalzala (1987) were released after his demise. Hero was the last film of Waheed’s life, directed by Iqbal Yousuf which was released after almost two years of his death. Another Waheed’s delayed film Zalzala was released after his death in 1987 which was also directed by Iqbal Yousuf. Zalzala did nothing at the box office, however, Hero completed its Silver Jubilee in Karachi. At the time of Waheed Murad’s death films like Muqaddar, Aankhon Ke Tarey, Aas Paas and Andaz were under production which were either left incomplete or remain unreleased till to-date. As mentioned earlier that Waheed Murad joined his father’s film production house named Film Art. As on helm of affairs of Film Art he produced eleven films under Film Art. He was the youngest film producer in the industry at that time. Most of his produced films were either Golden Jubilee or Silver Jubilee. During the 1960s and early 1970s, he produced films like Insan Badalta Hai (1961) (his first film as producer), Arman (1966), Ehsan (1967), Naseeb Apna Apna (1970) and Mastana Mahi (1971). However, after Mastana Mahi he produced no film except Hero which was produced in the 1980s and was released after his death in 1987. Just after the start of his career he became an icon for the youth, specially the females due to his prismatic personality. 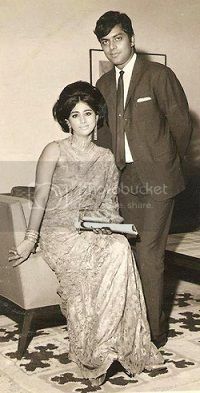 When marriage bells started ringing for Waheed Murad he showed his interest towards his childhood classmate named Salma Memon daughter of Karachi-based industrialist Ibrahim Maker which was matured and finally their marriage took place on Thursday, 17 September 1964. The wedding ceremony was arranged at Nisar Murad’s house at Tariq Road, Karachi. He used to address his wife as Bibi at home. They had two daughters, Aaliya and Sadia who died in infancy and one son Adil Murad. 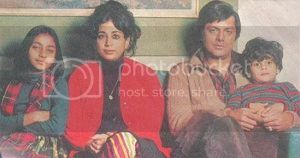 Initial matrimonial life Waheed Murad was excellent like his film career but when his film career started declining by the late 1970s and he was being casted in supporting roles as most of the leading heroines were hesitant to be co-star with him. As a result of the prevailing situation Waheed was becoming depressed. His fast friends revealed that to avoid facing the reality he was becoming addicted to alcohol, oral tobacco and sleeping drugs, he started avoiding his close friends. 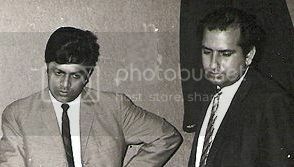 Pervez Malik, who became a director and producer by the late seventies, wrote in a local newspaper: “Not even once during that time Waheed come to me seeking work in my films. Due to this depression his domestic life suffered and his wife Salma Murad left for the United States. A combination of bad habits and stress caused ulceration in Waheed’s stomach in 1981. He suffered from bleeding and had to undergo stomach removal operation to save his life. His many fans came to the hospital to donate blood to save the life of their favorite iconic hero. After sometime he recovered but consequent to this surgery he lost a significant amount of weight. 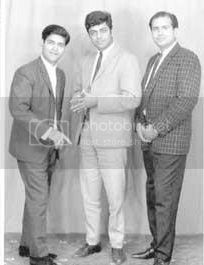 During these days of depression, Iqbal Akhtar and Iqbal Yousuf, who proved to be real friends in difficult times, casted Waheed Murad in their movies. But Waheed appeared pathetic in Dil Ne Phir Yaad Keya and Ghairao which was concluded that it was all over for him. His co-star Babra Sharif, revealed that during filming of a scene of Hero, Waheed lost his balance while walking briskly toward her and fell down. He took several minutes to catch his breath prior to standing up on his feet again. In July 1983, while rashly driving, Waheed struck his car with road side tree and resultantly sustained with a scar on his face. A few days after the accident, Pervez Malik offered him a lead role but asked first do something with this scar. So he planned to go to Karachi to get the scar fixed in order to complete the last few scenes of Hero. 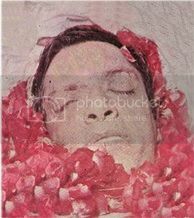 Severe depression due to decline in his film career, use of sleeping drugs, tobacco and alcolel, stomach removal operation and road accident took Waheed Murad very near to the end of his natural life. For face scar surgery he was there at Karachi and prior to this operation he celebrated birthday of his son Adil Murad and returned very late to spend the night at Anita Ayub’s mother Mumtaz Ayub’s home. Next morning on 23 November 1983 when Waheed did not wake up until late, the door had to be forced open and he was found lying on the floor, dead for several hours. A paan leaf with ‘something’ in it was found in his mouth. Nobody knows for sure if it was a heart attack or recklessness. 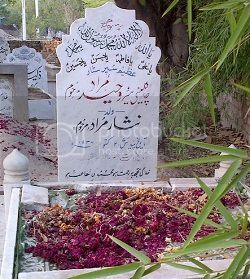 Waheed Murad was buried near his father’s grave in Gulberg Graveyard, Ali Zeb Road, Lahore. In his twenty five years of film career Waheed Murad appeared in 124 and right from the outset touched the height of popularity. Waheed was known as a cheque which could be cashed anywhere in the country and is the only actor of film industry to secure the highest number of platinum, diamond, golden and silver jubilees so far. He mesmerized Pakistani nation during 1960‘s and mid 1970‘s more than anyone before or after and is considered to be evergreen chocolate hero of the cinematic history of Pakistan. To view Waheed Murad‘s filmography, please visit here. Waheed Murad appeared in 6 films (3 Urdu and 3 Punjabi) in cameo roles. Waheed Murad, as a producer, produced 11 films (10 Urdu films & 1 Punjabi film), of which 8 films were black & white and 3 films were colour. Most of these films, including Arman, were appreciated by film critics. As producer he also achieved a Nigar award in the best producer’s category for Arman. Waheed Murad directed only one film Ishara, which failed to achieve the box office target.